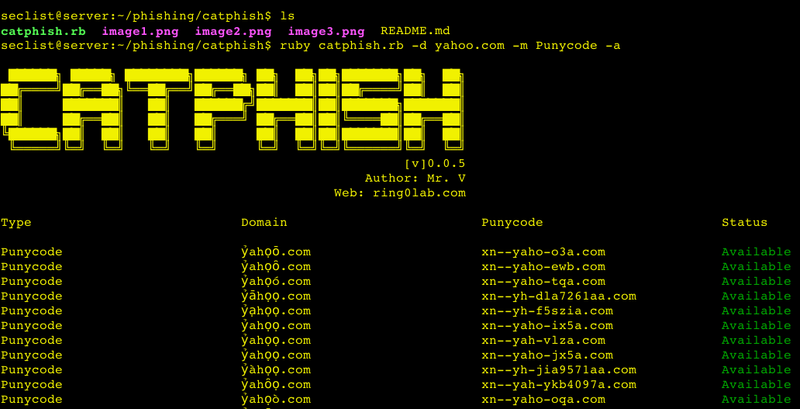 Browse: Home / CATPHISH – For phishing and corporate espionage. CATPHISH project ia a ruby script For phishing and corporate espionage. – resolv getoptlong simpleidn whois whois-parser ruby module. ← powerstager – A payload stager using PowerShell.